The box art for Rockstar Games’ Red Dead Redemption 2 has now been revealed alongside the game’s third trailer. Rockstar Games announced days ago that the third and newest trailer for the upcoming Red Dead Redemption 2 would be revealed today and dropped the new trailer right on schedule. 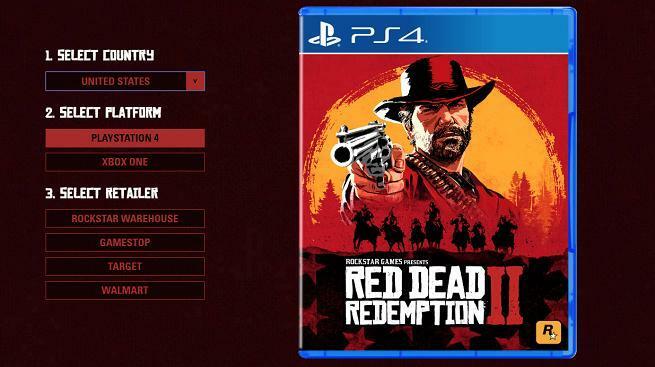 You can see that trailer in full above, but if you head over to Rockstar’s pre-order site for the next part of the Red Dead Redemption series, you’ll find that the site now shows the box art for both the PlayStation 4 and Xbox One version. If the box art that’s seen below seems familiar, you may have seen a similar image shared days ago when Rockstar announced the upcoming trailer. The promo image shared during the announcement had the same character and the logo to the side with people mounted on horses offset beneath the logo, and the box art appears to be the same assets just moved around to different places. There’s always the chance that something will be hidden on the back of the box art – God of War is the most recent game that was discovered to have some alternate art once reversed – but this appears to be the artwork that’ll grace retailers’ shelves in October when Red Dead Redemption 2 is available. Of course, if you’re not content with this artwork on its own, you can also look forward to getting an entire book dedicated to the game’s artwork and creation. Several days ago before Rockstar announced the new trailer, a book titled The Art of Red Dead Redemption II leaked on Amazon, though the listing has since been updated to remove the name and connections to Rockstar. Amazon confirmed soon after the leak that the book was indeed real though with the listing saying that it’d be available on Oct. 30, a date that comes just a few days after the game releases. This is Rockstar’s first art book released alongside the game, so fans should expect big things from it. The latest trailer also revealed another detail that some Red Dead Redemption players had anticipated – it appears that the new game is indeed a prequel. From watching the trailer above, you may have noticed that a young John Marston and his signature scars appear in the trailer. There are still many more theories waiting to be proven correct or false, but that’s at least one Red Dead Redemption 2 question off the list. Red Dead Redemption 2 is scheduled to release on Oct. 26 for the PlayStation 4 and Xbox One.